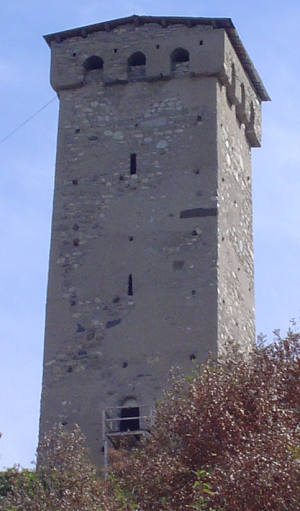 Native language of the Svans (Svanuri), who inhabit southern slopes and valleys of the High Caucasus in the region of Svaneti, located in north-western Georgia. The number of speakers (according to Ethnologue 2009: 364) amounts to 15 thousand. 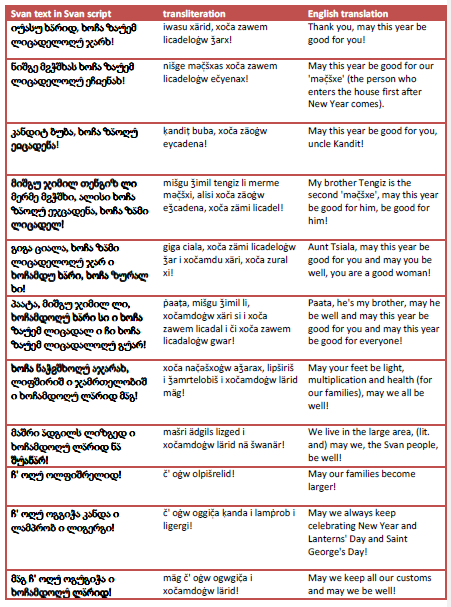 The language, called Lushnu in Svan, is one of the Kartvelian language family, that includes also Georgian, Megrelian and Laz. The three languages are officially regarded by Georgian authorities and institutions as dialects of Georgian, in spite of opinions expressed by linguists and other experts, who emphasize different linguistic histories of the three regiolects and classify them as separate languages. Lack of any support from Georgian state and the low prestige of Svan have resulted in an increased rate of language decay and endangerment. In recent years some of the traditional Svan settlements have been destroyed by land- and mudslides, resulting in the long-established clannish Svan communities being resettled to the southern, extremely poor, abandoned and plain areas, mainly along the borders with Armenia and Azerbaijan. Likewise the Georgians the Svans are of Christian Orthodox denomination, although their traditions include also numerous remnants of pre-Christian beliefs. 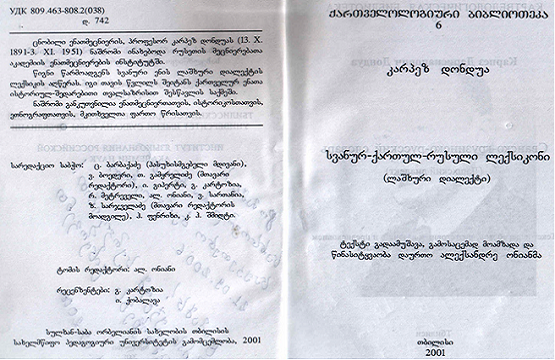 The Svan language is written at present with the letters of Georgian alphabet, although in the past it also used Latin or Cyrillic alphabets. Read more about Svan and try to solve the exercise/riddle on Svan months on the Interactive map. The Georgian script is probably the most phonemic alphabet in the world (meaning that each consonant or vowel phoneme is represented by a corresponding letter).